The person's name will be added to the list of users in this group (as shown in the image in the step below). 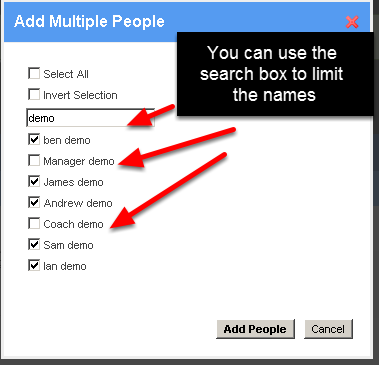 You can use the search box to limit the users that are shown, but if you type in "demo" and tick the athletes and then you type in another selection like academy, then the athletes that are ticked and hidden will not be shown added. 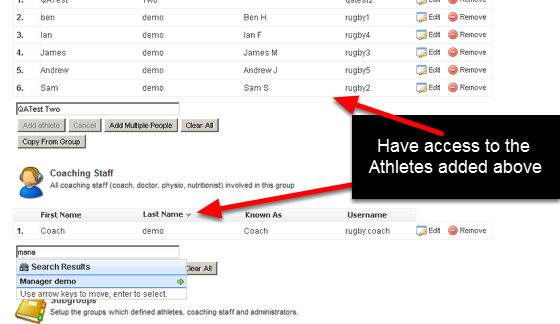 Only the athletes that are ticked and are showing in the Add multiple people box will be added to the group. Add your Coaches, Managers, Doctors etc to this group. Anyone who needs access to this group need to be added as a coach. Type the name of the person who you want to be added as a coach of this group. 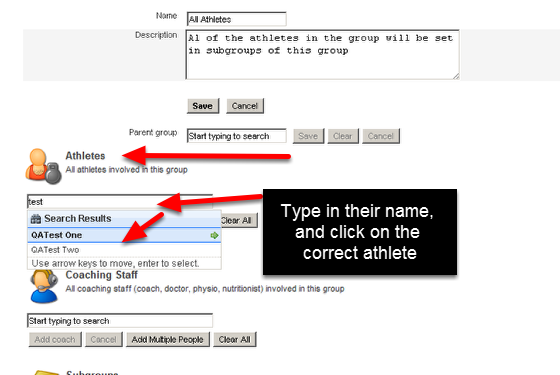 This means the person will have access to all of the athletes in this group and any subgroups that you add. If you have other groups already set up on the system, you can add these into the subgroups section. This means these any coach in this current group will have access to ALL subgroups and the athletes in those groups data. 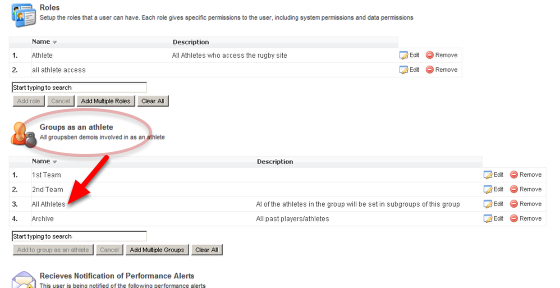 There is a section where you can add groups to performance alerts that have been set up by users. Unless you are sure you understand which alerts need to apply, then please do NOT use this feature.